Bubala is a collaboration between a former General Manager at Berber & Q, and a development chef from Ottolenghi, who will be serving up their take on modern middle eastern feasting, that just happens to be vegetarian or vegan. It's taking place over two nights - Weds 18th & Thurs 19th July 2018 - at the Pillbox Kitchen near to Bethnal Green tube station. Tickets are just £30, and there will be beers from 40ft Brewery and wines from Under the Bonnet to buy on the night. "Marc Summers (Former General Manager at Berber and Q), and Emily Heron (currently a Development Chef at Ottolenghi HQ) had a meeting of minds. They share a very clear vision. Creating feasts which are first and foremost incredibly tasty. Their beliefs on consuming less meat and showcasing the vegetable has led them to create a completely meat free feast, which by no means cuts back on flavour. Bubala is taking over the well-known pop up spot The Pill Box Kitchen in Bethnal Green for 2 nights to create a Vegetarian Feasting Menu designed for all tables to share. 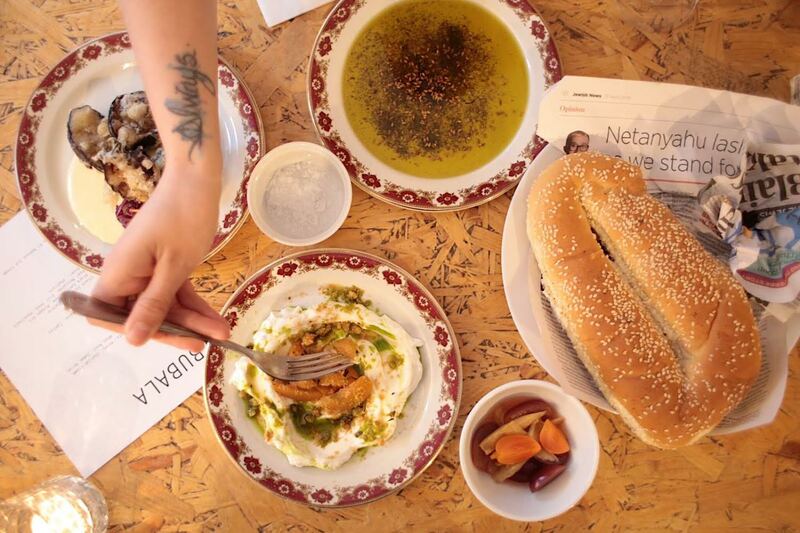 After the success of the last Pop Up at Brunswick East, Bubala is once again bringing you modern middle eastern feasts that just so happen to be vegetarian (mainly vegan but that’s not the point)."